Take your Tasklog experience to the next level! 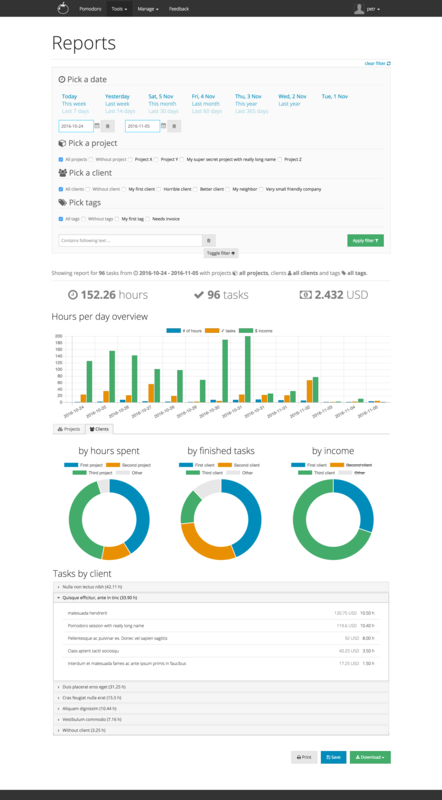 Last few months, I was preparing several new features to enhance this app and the result is Tasklog Premium. 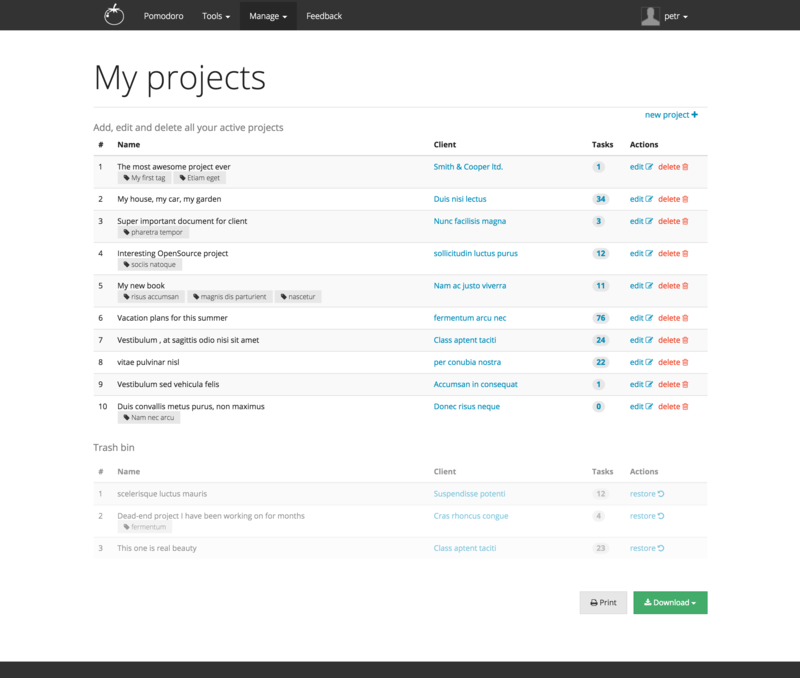 Manage unlimited number of projects and assign them to your time entries or tasks to keep them well-organized. Create new projects in project section or dynamically while starting new entry just by filling the project name. Pairing your project with clients will save you the need for selecting a client while starting new entry. Print your project list or download it as PDF file. Click the number of entries or tasks to view all records with this specific project. Easily restore deleted projects from the trash bin below the active ones with just one click. 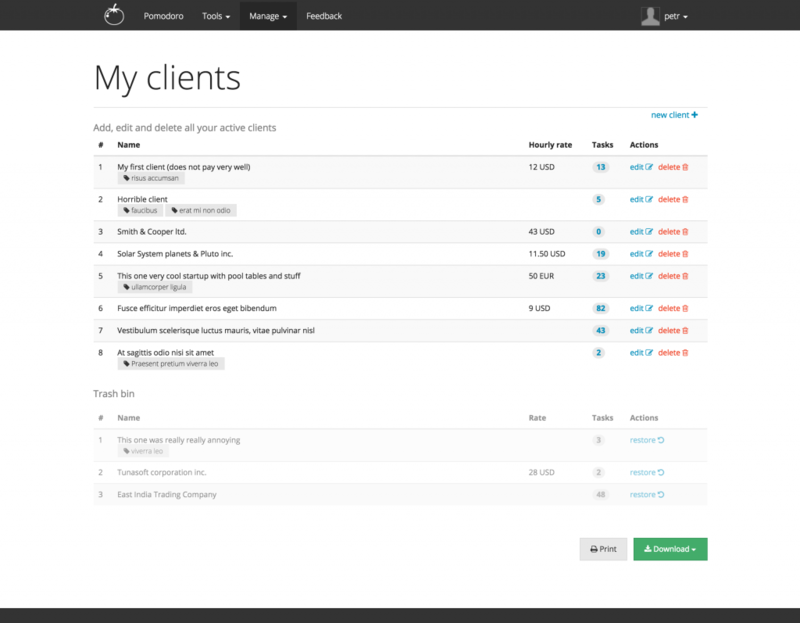 Create unlimited number of clients and assign them to your time entries, tasks or even projects. Set your current hourly rate for each one of them so you can track your income in the dashboard, history or reports sections. Print your client list or download it as PDF file. 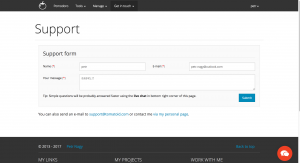 Click the number of entries or tasks to find all records with this client. Restore deleted clients from the trash bin below the active ones. Easily, with just one click. Create an infinite number of tags and assign them to virtually anything: time entries, tasks, projects, even clients. Filter entries containing one specific, or one of many tags. List clients or projects with one specific tag. 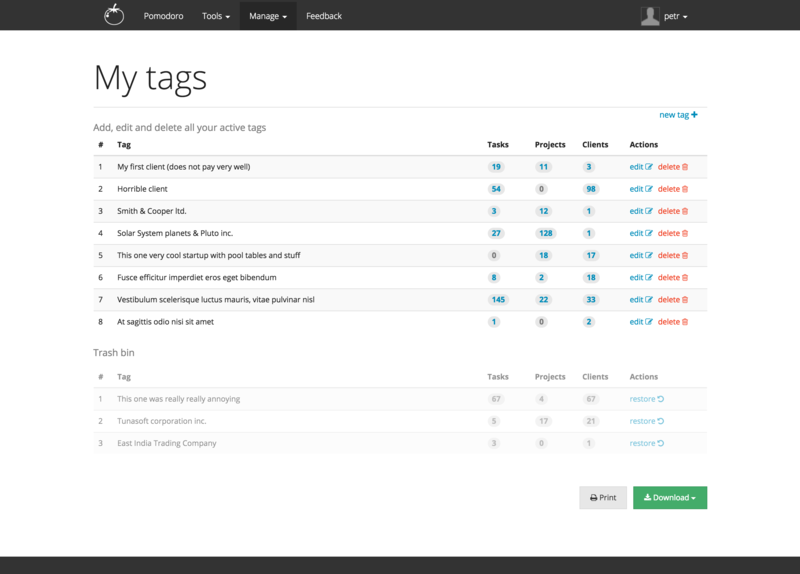 Delete and restore tags with one single click. Print your tags list or download it as PDF file. 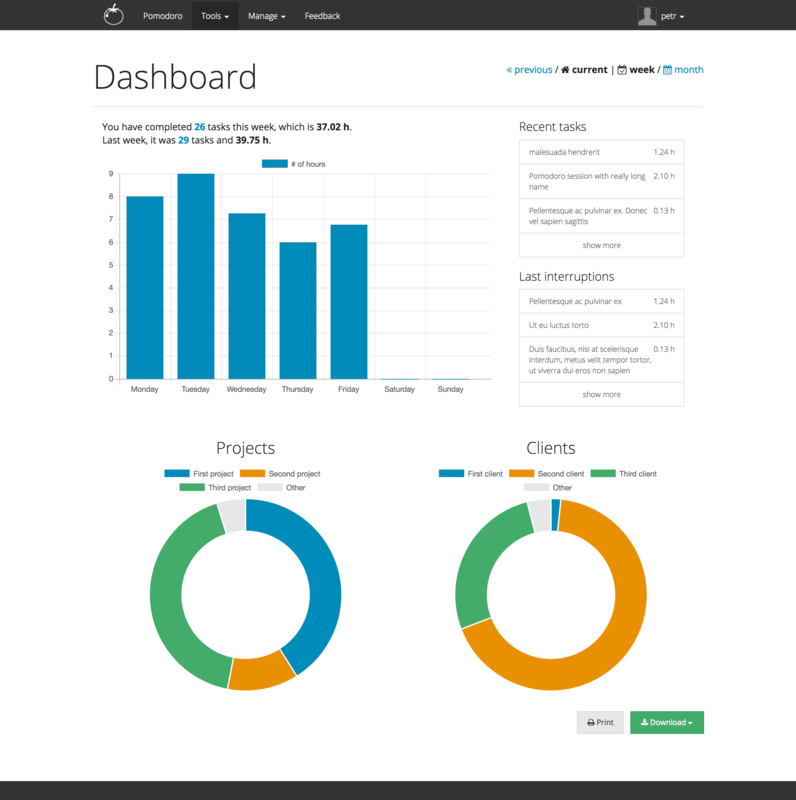 Open your dashboard for quick weekly overview with the ability to switch the time frame to a month. Check current or last week (month). Check your recently finished time entries and tasks. 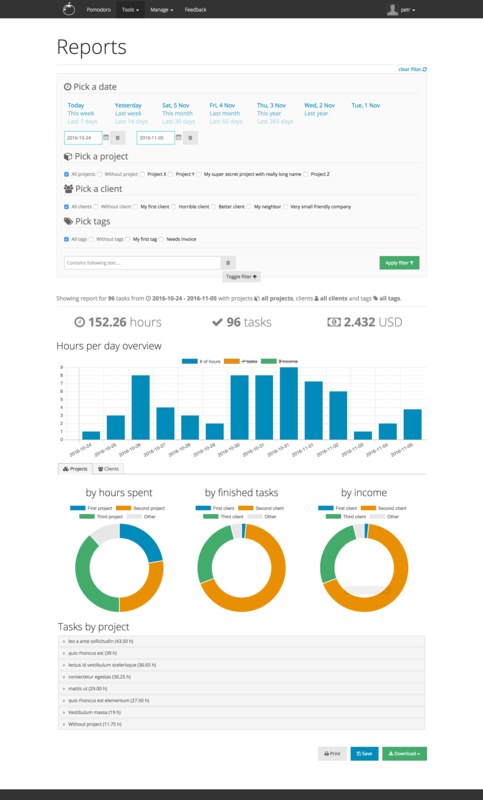 Quickly check how many hours you have spent on your tasks this week and how much money you have earned. 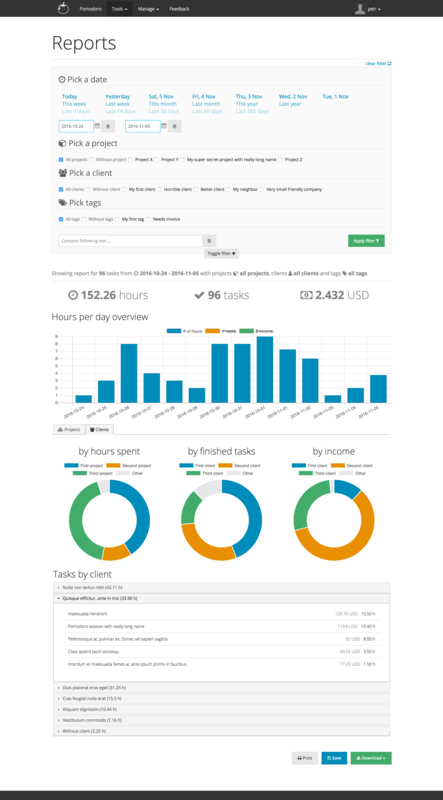 Take a look at the pie charts as they show the clients and projects which you have been working on (for) most of the last few days. 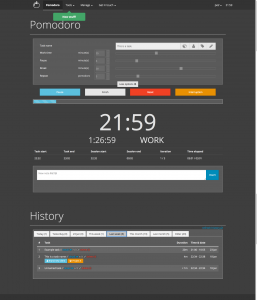 Print the dashboard or download it as PDF file. Forget the “recents”, here comes the proper history with fully featured filter. You can find literally anything here. It’s awesome. 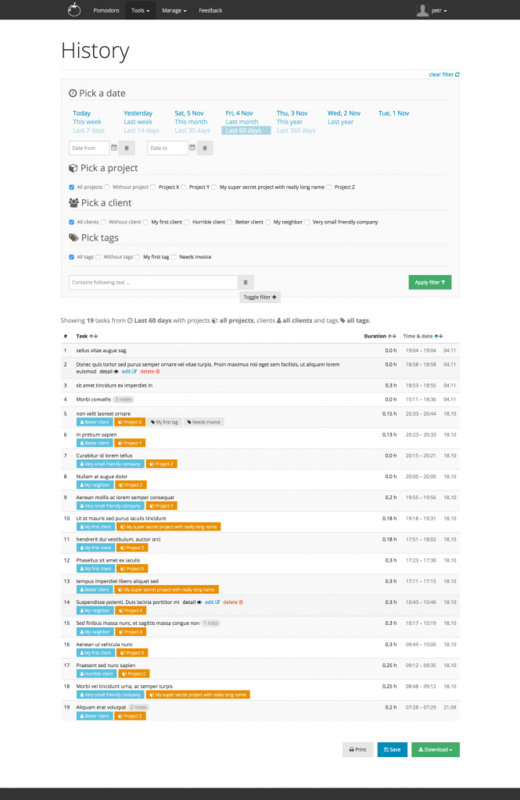 Filter by date, project(s), client(s), tag(s) and even fulltext. Every result set can be either saved for later view, printed, or downloaded as PDF/CSV/XLS(excel) file. 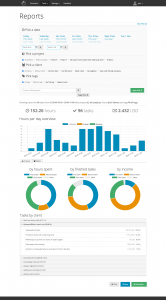 With the exactly same filter as the one in history, detailed reports can be created. And they look so cool! 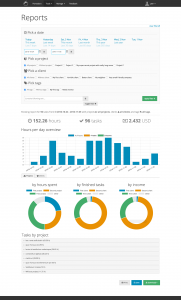 Find out how much time you have spent on each project. Or how much money you have earned from every single client. Check out which days in the week are you most productive. Compare time spent with money earned for each day. Each report can be either saved, printed, or downloaded as PDF/CSV/XLS(excel) file. Check out the screens! Every history search or report can be saved to this little box of yours. No expiration date or anything. It will remain there until you delete it by yourself. Working late? No problem. Just switch the classic skin to night mode, make some coffee, and you are ready for your night shift. 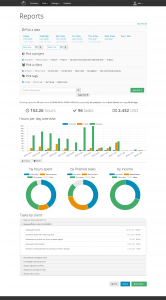 Are you working alone, but also need to fill various reports and tasks in other systems, used by your clients? The solution is (maybe) here. 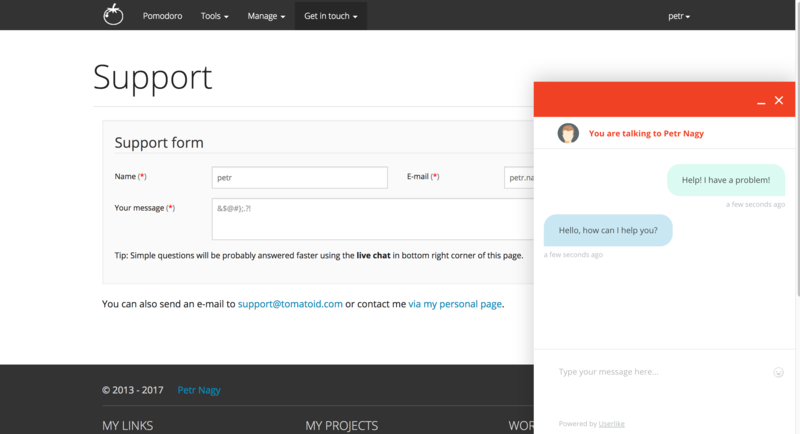 With several synchronization methods, you are able to connect your Tasklog account with other applications like Toggl, Trello or Basecamp. If none of this applies to you, maybe the data export can save you. You can export data from timesheet (history), projects, clients and even tags. 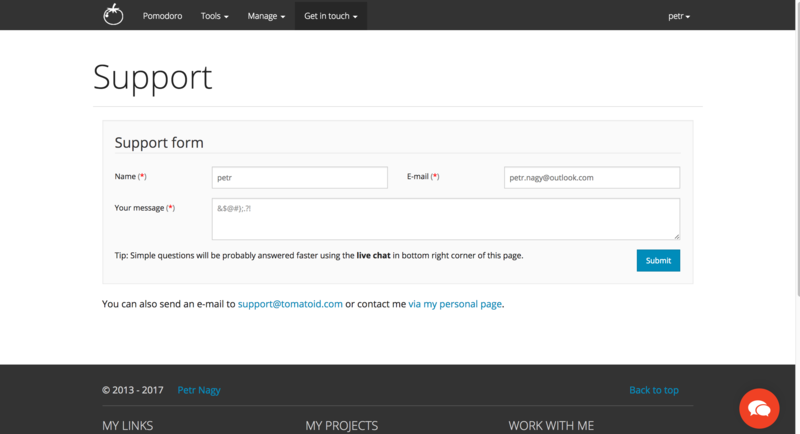 Dedicated support form and live chat is available to the premium users. Any requests and questions from the premium channel will be processed first.